Fresh blueberries mixed right into the batter. Warm​ cinnamon-apple topping sprinkled w/ cinnamon-sugar & served w/ apple butter. Crushed pecans throughout add a crunch! A stack of our classic golden pancakes. 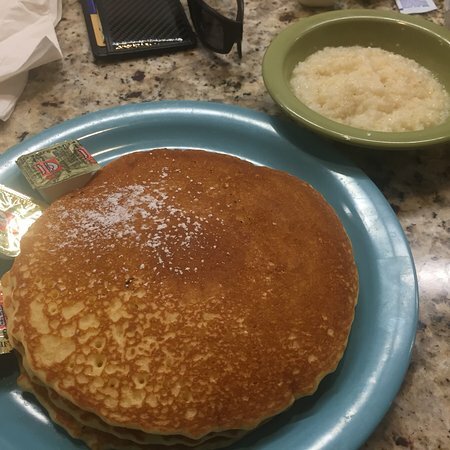 Twelve silver dollar-sized pancakes - fun to eat! Two eggs any style sandwiched between three pancakes. Three pancakes wrapped around three sausage links. Made w/ delicious, heart-healthy cinnamon sweet potato batter. A golden Belgian wa le w/ strawberry topping & whipped cream. Our classic Belgian wa le. Filled w/ crunchy crushed pecans. Bits of crispy bacon sprinkled throughout. Onions, mushrooms, peppers, tomato, salsa, spinach, cheese - available.99 extra each. Filled w/ spicy chorizo sausage & cheese. Topped w/ salsa. Filled w/ ham, cheese, onions & green peppers. Pork​ links or turkey sausage patties. 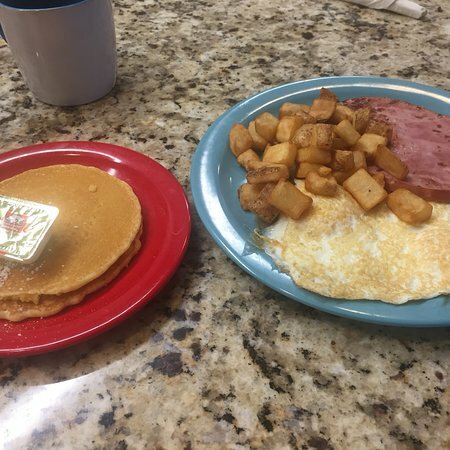 Three eggs, two meats & home fries. 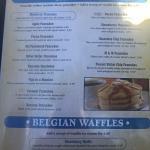 Great breakfast menu, food came out hot and fast, blueberry coffee was great and our server Brittney was awesome. 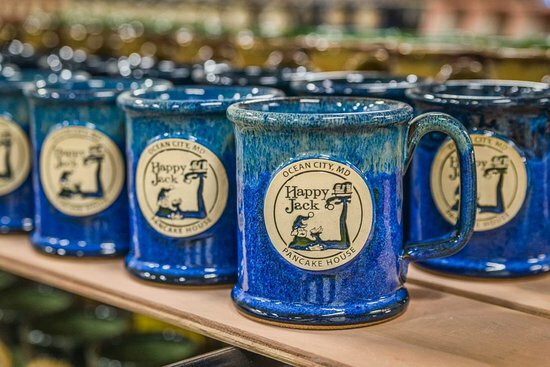 We can't wait to stop in again for breakfast the next time we are in OC. Would go here to eat again! Service was great and the breakfast was very good! Clean and welcoming to all! 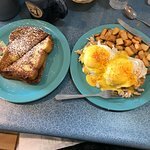 Nice breakfast spot within easy walking distance. Great menu choices as expected. Order was accurate, served hot, and good portions. Prices were fair. Our server was kind and attentive. We were happy to find a hot breakfast on a rainy, off peak morning. Great way to start your day in OC! 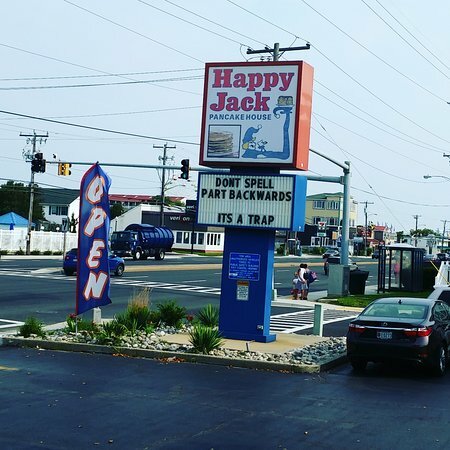 We always go here for breakfast while in OC, Md. The food is always fresh and hearty... yum! 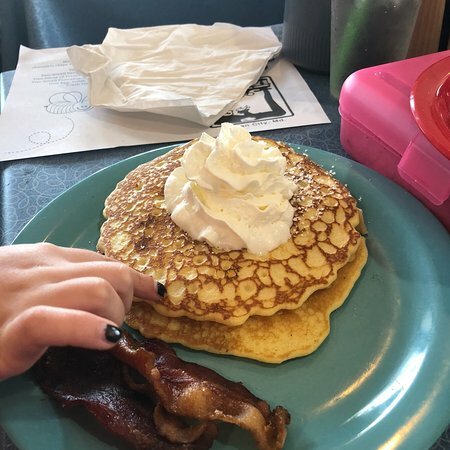 Great pancakes, french toast, omelets, and sides that are made your way! 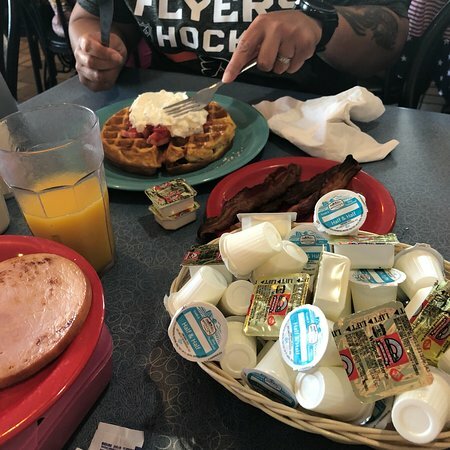 Stopped in for Breakfast during the off season before heading home. Very homey, everyone was very nice and helpful! Food was great, very reasonable and Nikki was attentive. Overall, great experience. 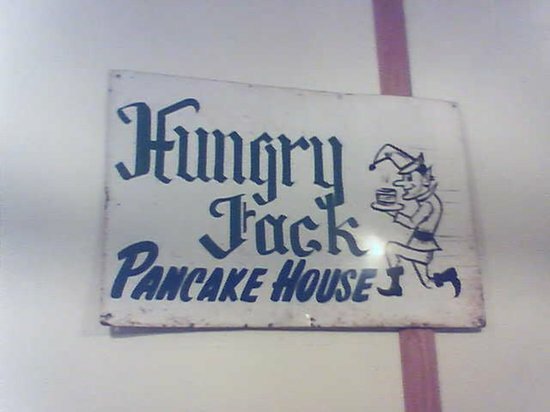 If you're looking for some down home eating...you need to stop in here ! 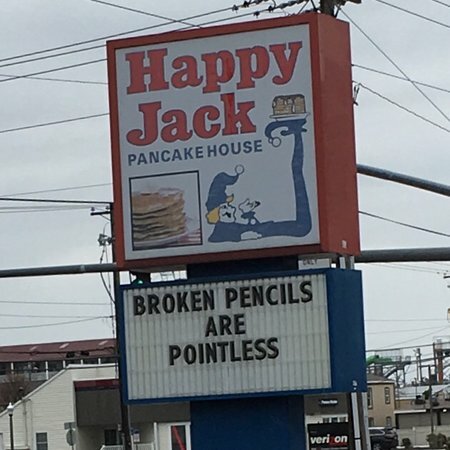 Get quick answers from Happy Jack Pancake House staff and past visitors. I was looking for the gluten free menu. They are proud to be gluten free.